Denisse Montalvan is a master media expert with over ten years of experience in mulitcultural public relations. 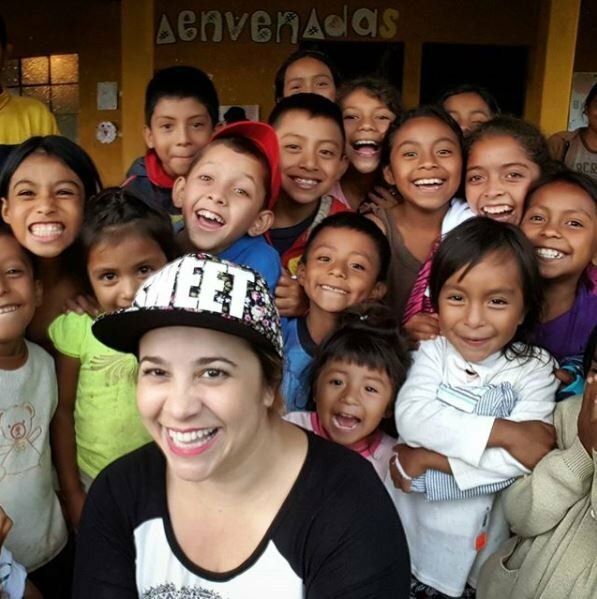 In addition to her full time job, Denisse is a mother to a 2 year old toddler as well as being the Founder and Director of The Orphaned Earring, which supports over 500 children in Latin America living in extreme poverty. Her charity work has garnered national media attention and awards. In addition to writing her own blog, she contributes tech and parenting stories on #LatinaGeeks and she’s a regular spokesperson at local Univison 34. 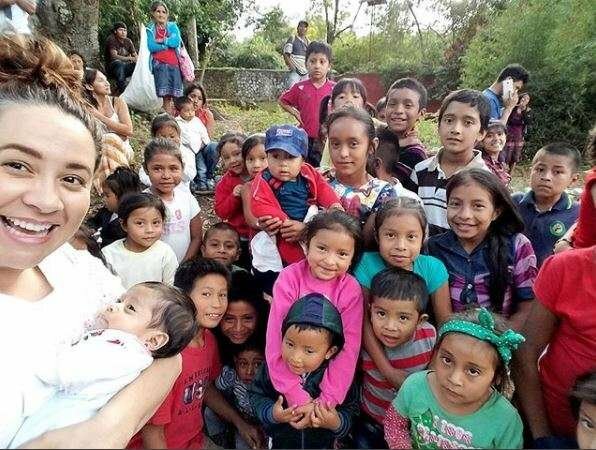 She was named Young Professional of the Year by Hispanic Public Relations and winner of the Blogonthropy Award for her social good work. Building a charity center in Guatemala. What contributions do you wish to leave in the world through what you do? I’d like to inspire a more sensitive, compassionate generation that shows more empathy and love towards others. In an era where everyone is often competing with each other on social media, I’d like to create a space where we are bragging for the right reasons, that is changing the world and positively impacting lives. Ideally, the world I leave behind doesn’t care about borders and distances and will cross the world to help each other if needed. Who is one woman who has contributed to your growth in your lifetime and why? I had an older lady as my supervisor that, even though I didn’t see it myself, would constantly see the potential, the good and the great in me. She was a white lady from Louisiana who didn’t hold back, she would say this as she saw them, and the same way stood up for me when there was injustice. I had never met anyone as brave as her, she spoke her mind in a man’s world in a time where women were not supposed to speak up. She also was kind and loved to do the “womanly” things as cooking, cleaning, etc., but she didn’t confine to just that, she ran the business. She really helped me stand up for myself, love me and to dream big! Any wisdom you can share with a younger entrepreneur as she/he begins their journey? Often we young professionals hear we are naïve and we need to calibrate our dreams to something more attainable. My advice is to hold on to the dreams as crazy as they may seem and be naïve, be genuine in your pursuit of success. But once you also think you are NAÏVE, you will lose a bit of the drive and edge that builds your career early on. A child’s imagination is infinite, and they create without limitations, it’s not until we force kids to “color within the lines” that children stop imagining limitlessly. So stay a kid! What do you believe makes us powerful as women? The simple fact that we were born women makes us powerful. We were genetically designed to withstand creating a human being within us, to be strong for our loved ones and keep pushing through the pain. We know how to build up homes, build up our men and children without even trying – it’s just part of who we are. Women also know how to morph into whatever is needed at the moment – a mom can be mom AND dad, she can be counselor, friend, mechanic, professional, be sensitive and strong all at the same time. The 2019 Women's History Month theme was “Visionary Women: Champions of Peace & Nonviolence.” What are you doing to cultivate peace in your own life and our world? In addition to my regular job, I am founder and director of The Orphaned Earring through which we’ve changed so many lives! We support over 500 children and their families who live in impoverished conditions in Nicaragua, Guatemala, Colombia and Mexico. From food, clothes and love, we provide the basic needs to support these families. But that requires money, and money is hard to get. So as a way to raise funds, we also recycle jewelry to UPCYLCE and sell it as a way to raise funds. We create a win-win situation where we save the earth form items that otherwise would end up in landfills, while we give hope and love to the vulnerable. I’ve been doing this since 2008 and am continually growing and motivated to do more and dream bigger. Who are some women you admire in philanthropy and why? This is a hard one! I can only think of my The Orphaned Earring team that, without any public praise or recognition, work behind the scenes to help so many people living in extreme poverty. From dead babies, to abused women, these women see the hardest things and yet remain strong and encouraged to always do more and give more. What is one non-profit you look up to for their meaningful work? I like Heifer International, I think it’s a unique way to help communities help themselves! I myself have donated a few chickens and goats! They help We help women develop leadership skills so that they can have access to greater opportunities such as education and entrepreneurship. Learn more about Denisse and The Orphaned Earring here.